The Great Outdoors #108 "Few Bugs"
A few weeks ago Jobjoris asked me if he could see my Porsche 911 collection. I thought as the house was picked up I would oblige. I started with GT spirit cars then went on to mini champs then I scoured the house for boxless 911s. I only have 2 Spark cars and they are both out there. One of three techart cars is well out there. The Exoto cars are all out there as they are easy to extricate from their foam toumbs. I then attempted to open my auto art cars but realized there were over 20 and that’s just way to much work so I threw in a few cars that were readily available. 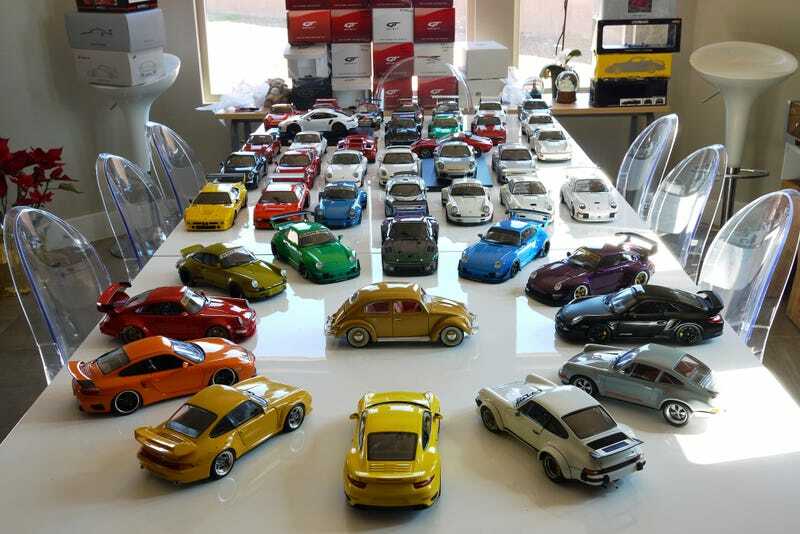 So here is maybe 75% of my 911s and a few stragglers that wanted to crash the party. These cars arnt particularly rare but a few on here are hard to find.